Nollywood news + Naija Gist | Yoruba movies, Naijagist, Nigerian music, Naija news, Nigerian movies: 95-year-old woman learn to read and write, enrolls in school. 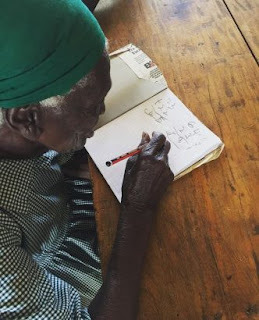 95-year-old woman learn to read and write, enrolls in school. 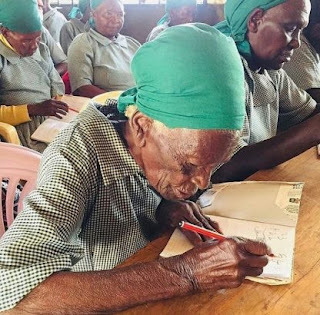 95-year-old Chebelina Mukomuga from Kenya has gone viral after learning how to read and write at age 95, she registered for adult education with older women but she is the oldest in the class, majority of the pupils are women. More photo below..